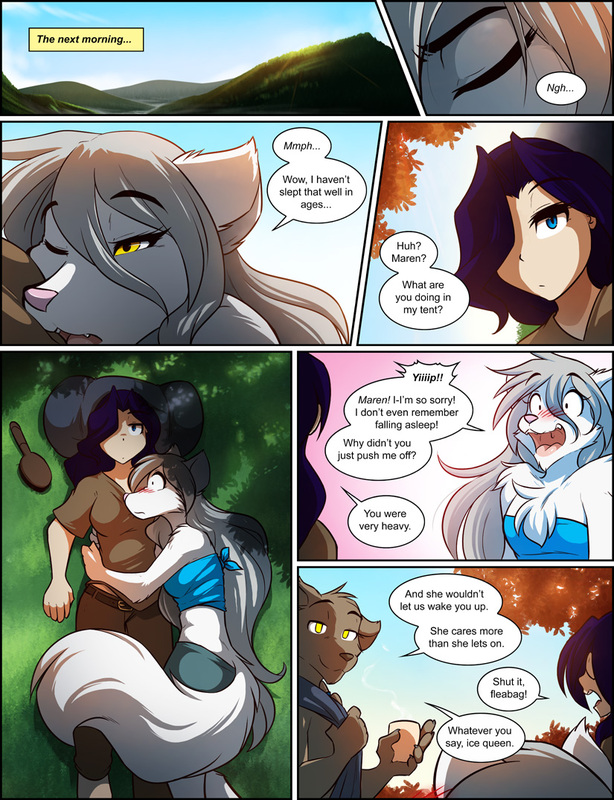 979: Sunny Morning Raine - Twokinds - 15 Years on the Net! Raine: Huh? Maren? What are you doing in my tent? Raine: Yiiiip!! Maren! I-I’m so sorry! I don’t even remember falling asleep! Why didn’t you just push me off? Maren: You were very heavy. Sythe: And she wouldn’t let us wake you up. She cares more than she lets on. 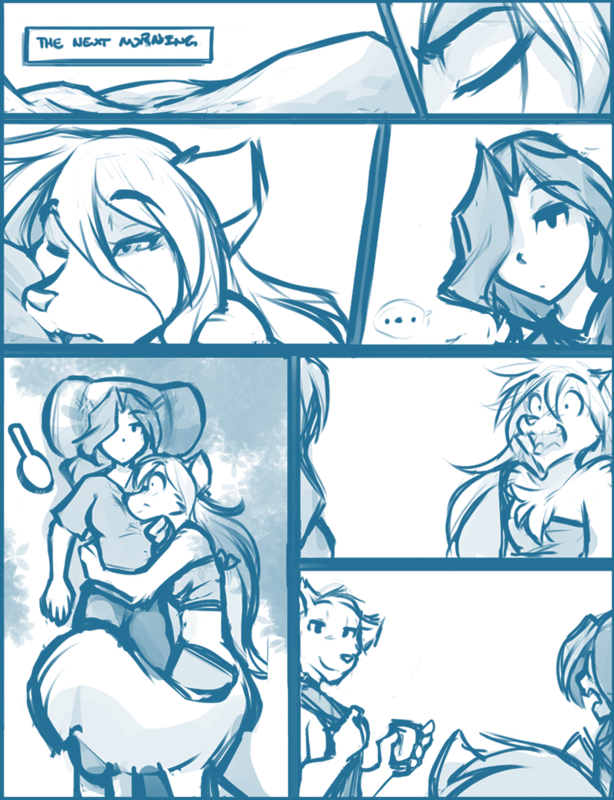 Sythe: Whatever you say, ice queen.